The softly curved lines of Barry’s dining table make a sophisticated and inviting silhouette. 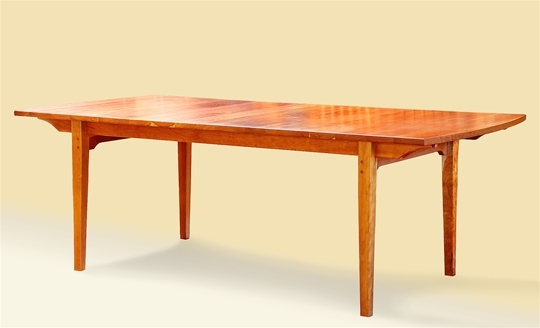 Made from jatoba, the wood grain wood runs the length of the table. 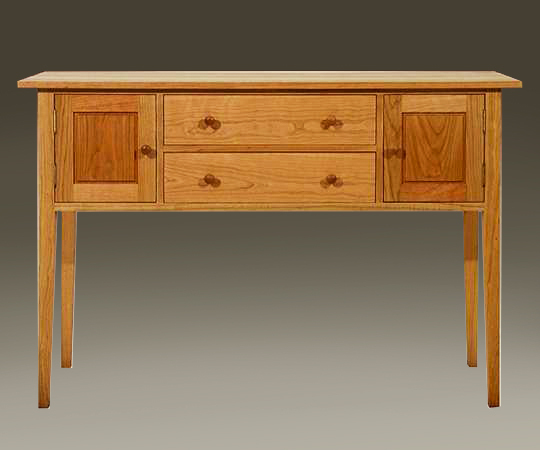 With solid joinery, detailed carving and a smooth finish, Barry creates a perfect marriage of beauty and function. Barry says he “creates from the heart”, hoping to make your home a place of warmth and inspiration. The simple elegance of this table compliments many styles of chairs including Barry’s own dining chairs. 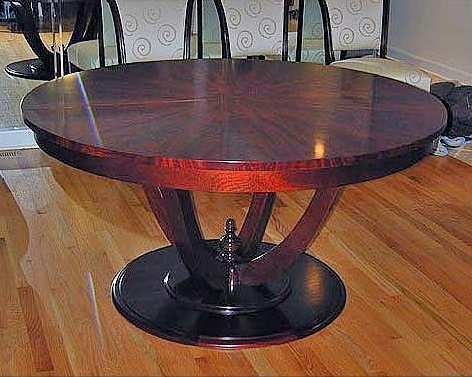 Dimensions: This dining table can be custom sized. Available Woods: Shown in Jatoba.